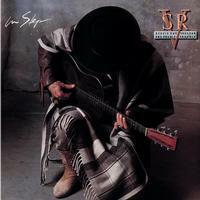 Stevie Ray Vaughan had always been a phenomenal guitarist, but prior to In Step, his songwriting was hit-and-miss. Even when he wrote a classic modern blues song, it was firmly within the genre's conventions; only on Soul to Soul's exquisite soul-blues Life Without You did he attempt to stretch the boundaries of the form. As it turns out, that was the keynote for In Step, an album where Vaughan found his own songwriting voice, blending blues, soul, and rock in unique ways, and writing with startling emotional honesty. Yes, there are a few covers, all well chosen, but the heart of the album rests in the songs he co-wrote with Doyle Bramhall, the man who penned the Soul to Soul highlight Change It. Bramhall proved to be an ideal collaborator for Vaughan; tunes like the terse Tightrope and the dense Wall of Denial feel so intensely personal, it's hard to believe that they weren't the product of just one man. Yet the lighter numbers - the dynamite boogie The House Is Rockin' and the breakneck blues of Scratch-N-Sniff - are just as effective as songs. Of course, he didn't need words to make effective music: Travis Walk is a blistering instrumental, complete with intricate fingerpicking reminiscent of the great country guitarist Merle Travis, while the shimmering Riviera Paradise is every bit as lyrical and lovely as his previous charmer, Lenny. The magnificent thing about In Step is how it's fully realized, presenting every facet of Vaughan's musical personality, yet it still soars with a sense of discovery. It's a bittersweet triumph, given Vaughan's tragic death a little over a year after its release, yet it's a triumph all the same.